When water infiltrates your home and seeps into your ceiling, floors and walls, call our Greenwood Village water damage team at 911 Restoration Charlotte for immediate assistance from a highly-trained water remediation technicians. The moment you call our staff we’ll immediately dispatch our team of specialists out to your home, ensuring that they will get there within 45 minutes of receiving your emergency call. We know from 35 years of experience just how serious of an affect water can have on the home, which is why we keep our Greenwood Village water remediation team available 24/7 for same day services. 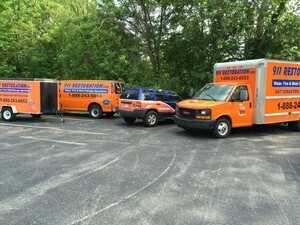 Our entire operation is licensed, bonded and insured to implement all types of water removal solutions, so even if you’re dealing with a sewage problem, we can help. Due to the fact that stagnate water left untreated for 24-48 hours or longer can cause mold, we highly recommend contacting our Greenwood Village water damage specialists the very moment you see signs of a water problem. Mold spores are usually present in the home, but need a moist environment in order to multiply, and water damage creates the perfect breeding ground. With this in mind, call our Greenwood Village flood damage professionals, even if it is just for a water spot, and we will give you a free visual mold inspection. After the damage is assessed, our Greenwood Village water and mold mitigation team will immediately get to work. We have hazmat gear, drying equipment, mold removal technology and water extraction machines to thoroughly do the job. 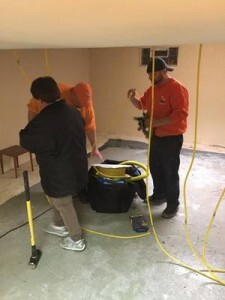 Our customers always come first, which is why our experts are trained in even the most complicated water damage jobs, including sewage water issues. 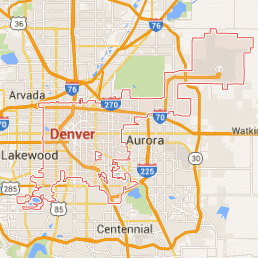 On top of offering affordable prices to all of our customers in the Greenwood Village area, we also work with all major insurance companies. 911 Restoration Charlotte staff will help file the claim, including assisting you with paperwork, communications and any other questions you may have. The next time a water catastrophe strikes and you want to resolve the problem before mold growth becomes an issue, call our Greenwood Village water damage professionals immediately. We know exactly how to give you a fresh start.